The Cabinet has excluded small music venues from the reduced business rates which are offered to small businesses. UK Music and the Music Venue Trust have criticised Chancellor of the Exchequer Philip Hammond over this decision, which is a bitter blow to the arts industry. In October, Hammond announced the £900 million scheme to reduce the rates paid by small businesses such as bars, pubs, restaurants and retail shops. There was hope that these rates would extend to small music venues, which are being harmed by soaring rates, according to last year’s UK Live Music Census. This announcement will certainly have struck a chord with the MP John Spellar, whose Agent of Change campaign to safeguard small music venues was backed by the Government and received support from Paul McCartney among others. Following the campaigning by Mr Spellar, UK Music and the Music Venue Trust among others, the Government introduced changes to planning guidance which incorporated the proposals in Agent of Change. As a result, Mr Spellar has withdrawn his Bill. He said: “This is yet another obstacle facing small music venues, which are integral in creating musical talent and maintaining an urban fabric in this country. “I will be urging the opposition and front bench to reconsider this damaging decision, and offer small music venues the same relief they are offering to retail establishments. “Quite simply, we need small music venues in order to maintain a vital pipeline of talent. The only way we’re going to achieve this is by supporting them any which way possible. 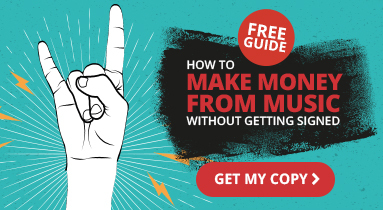 UK Music CEO Mr Dugher said: “The Treasury is clearly discriminating by definition against music venues. In a recent Treasury Questions, Mr Hammond said he would be happy to speak to Kevin Brennan, Welsh Labour Member of Parliament for Cardiff West, about the subject of business rates relief for small music venues. 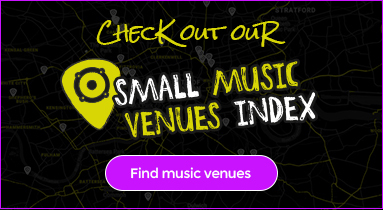 To discover just how integral grassroots venues are to the UK’s cultural identity, check out our interactive map of the UK’s best small music venues.